I’m a blogger. I work from home. I get LOTS of packages. Most are delivered via Fed Ex or UPS but sadly some come via the United States Postal Service. I say sadly because it seems that when I have a USPS package my doorbell must send the signal somewhere else because 9 out of 10 times I am “not home” when the delivery attempt is made. And during these 9 out of 10 times my mailbox must become a vortex leading to a black hole because I do not get the delivery slip either. Crazy! I know. But wait there’s more. If you google the post office where my packages are left you will discover that there’s an epidemic going on!!! Why is the media not covering this? Disconnected doorbells and notice-eating mailboxes should be on the nightly news as almost every review on the post office is from someone suffering from the same symptoms. Coincidence? Hmph. You know what they say? There’s no such thing as a coincidence. The Williamsbridge Station post office located at 711 E. Gun Hill Road in the Bronx has to be one of the worst in the City. I have lived near and dealt with many different post offices in my life. In fact, two blocks from my current residence is a different post office where I never have any problems. Of course this is not the one where I pick packages up. 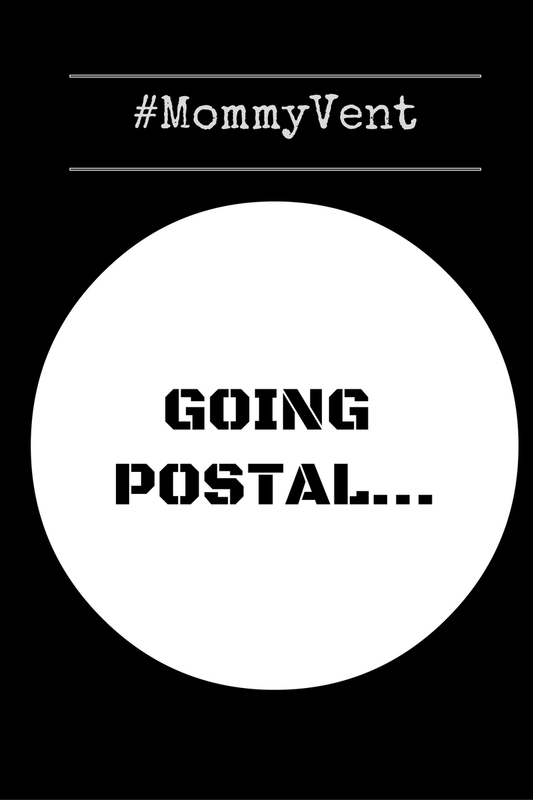 I still go into it pretty regularly to mail out packages or buy stamps. The workers in that location always smile. Some even at times greet you when you walk up to their windows. The Gun Hill location? Not so much. In all of the times I’ve gone into that one (way more often that I like), I have only seen one or at most two employees conduct themselves with true customer service professionalism. And while we are talking about customer service can someone please explain to me why my packages aren’t left here? Why oh why must I travel a full mile to retrieve a package that was supposed to be delivered to my home? Today was the worst. I was actually home waiting for a Fed Ex package and decided to track a different one. You guessed it, the one I tracked was said to be left at the dreaded post office. Blame that faulty doorbell again because I haven’t left my home in three days. Judge me later. It took me 34 minutes to get someone on the phone. Yup, 34 minutes. Wait! I’m a liar. I got someone on the phone right away but she put me on hold before I could finish my sentence and left me there. The phone must have been connected to that black hole vortex we discussed earlier because I had to call back on my cell phone to get someone to answer (while still on hold on my landline). And while that might sound simple it really wasn’t. The first three times I attempted to call back I either was hung up on or connected to the fax line. The woman that finally answered told me she couldn’t help me and that she was the supervisor. When I asked about the manager she told me she didn’t know when the manager would be in because she didn’t keep set hours. I seriously had to just stare at the phone. I couldn’t even lodge a formal complaint because everywhere I found online tried to direct me to another place. I figured I would share my frustrations with you, my readers. At best maybe one of you can help me get my packages liberated from the evil postal kingdom. At worst, you can have a good laugh at my expense. Do you have any post office nightmares? Share them in the comments. You’ll feel better. Or at least I won’t feel so alone! That stinks. You may have to tell brands and clients that you cannot accept packages from USPS, only fedex/UPS. It’s just not worth it and most brands will be okay with that if they do 3 day shipping. Or if you can get them mailed to another location (ie. I get most of my checks sent to my mother’s house because several went missing over the last year and it was a PITA to get them to resend checks).